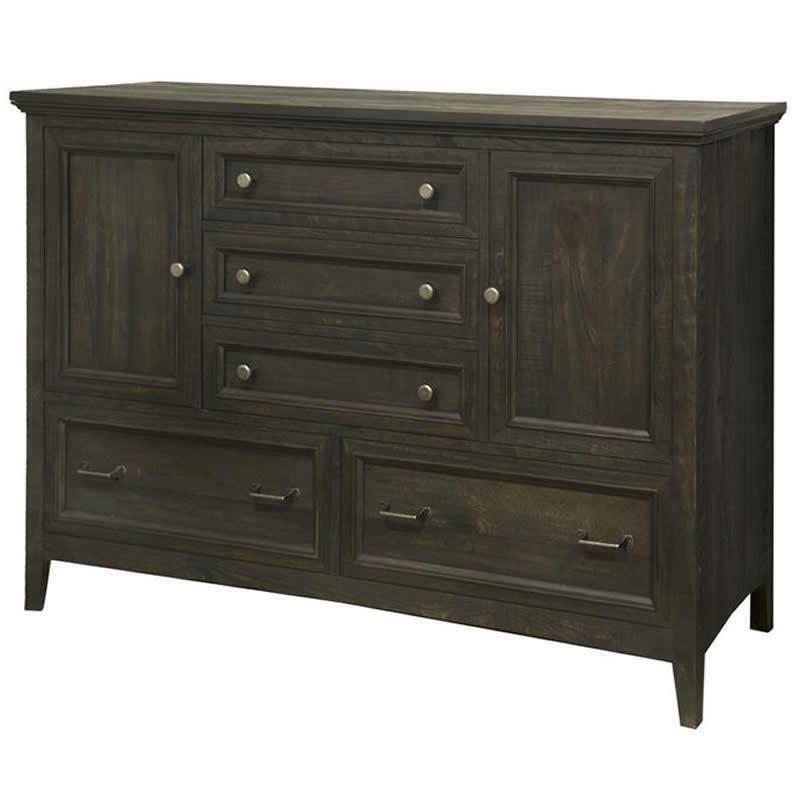 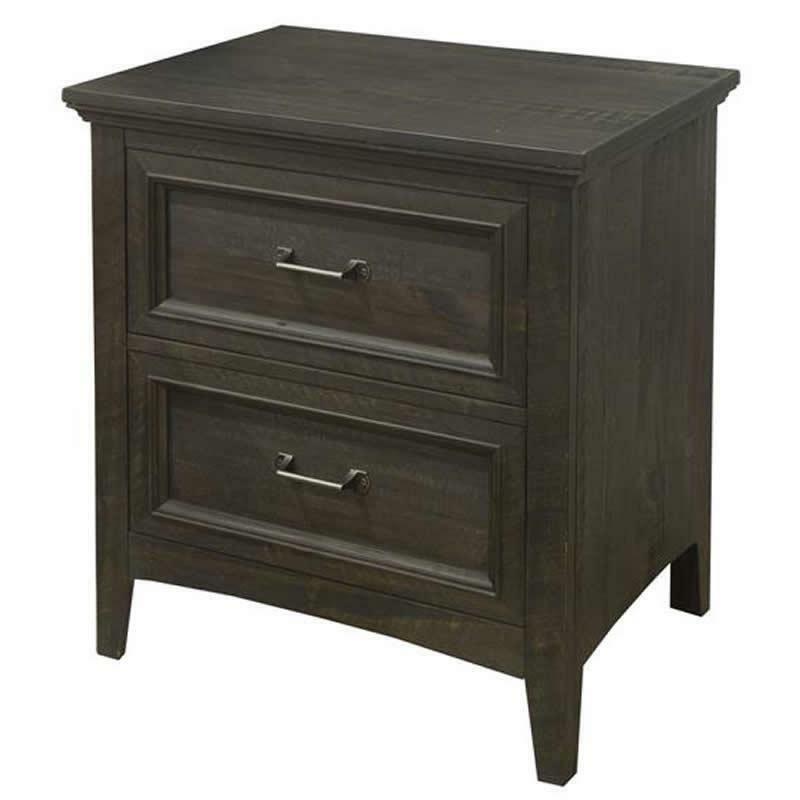 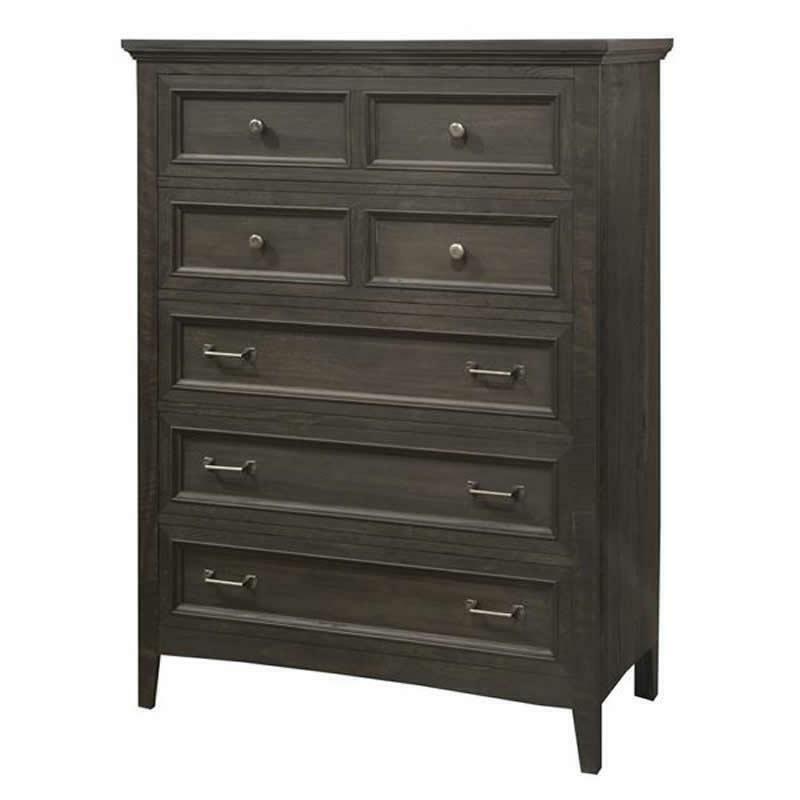 Bring a sleek storage solution to your bedroom decor with the Mill River Chest from Magnussen. 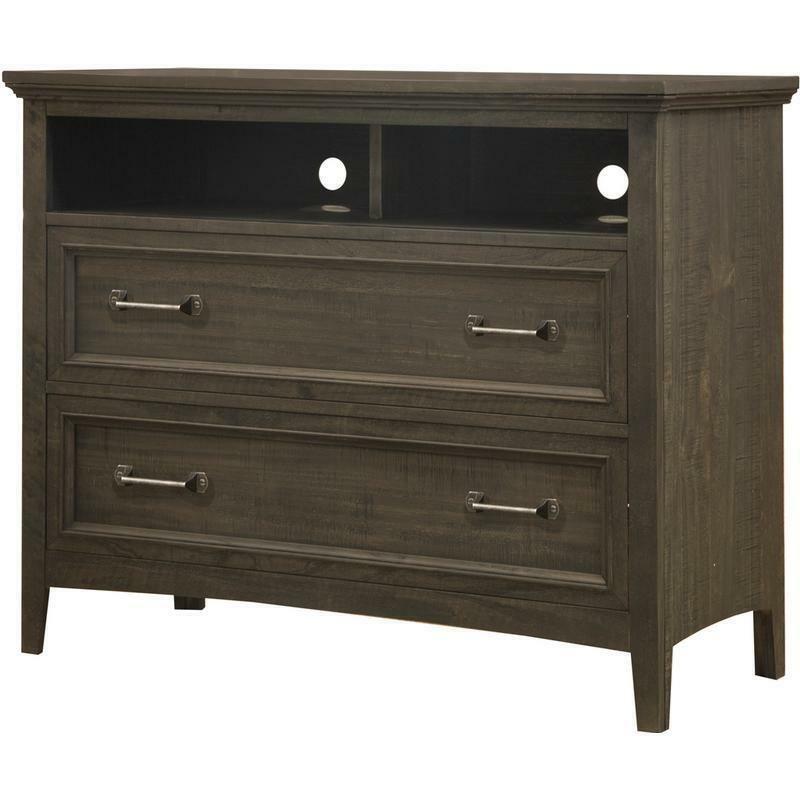 It features two drawers with metal handles, tapered feet, 2 storage shelf for AV components, a smooth top and a weathered charcoal finish. 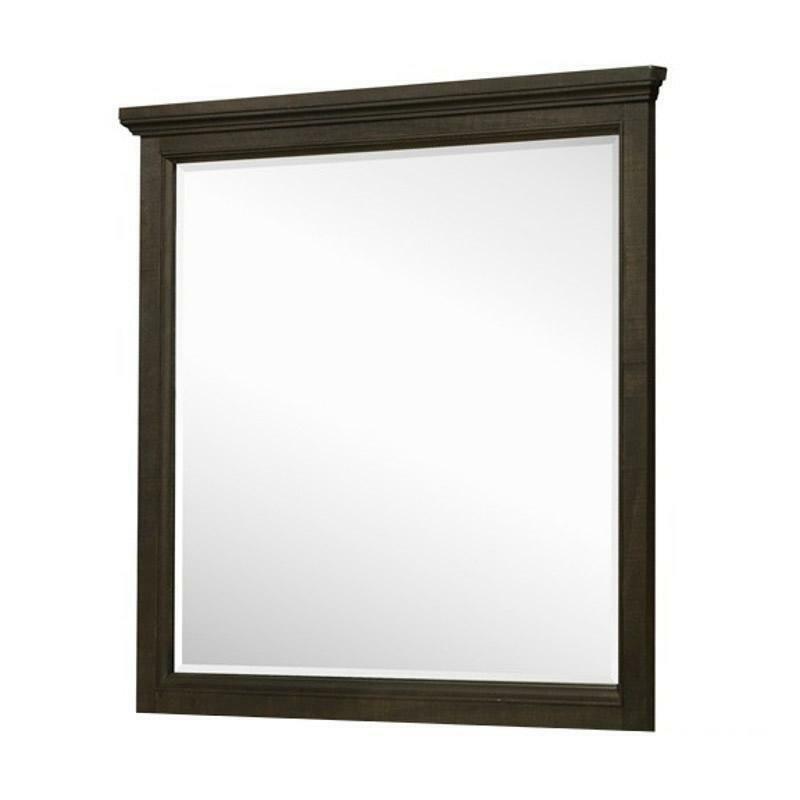 Warranty 1 Year Against Manufacturing Defects. 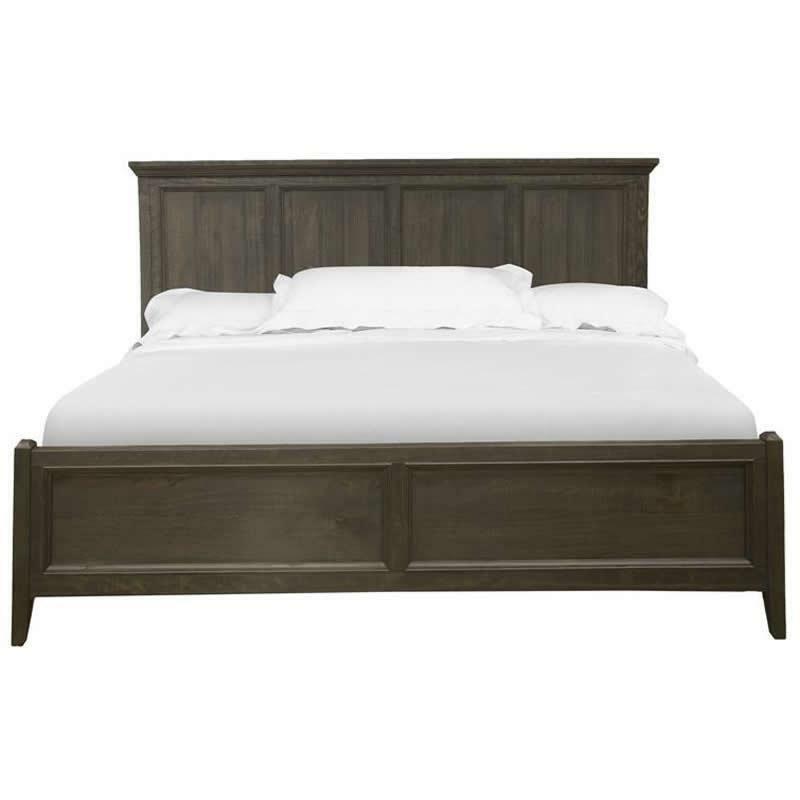 See Manufacturer'S Warranty For More Details.